Rave Mobile Safety, a leading provider of critical communication and data platform solutions, has been nominated to compete in the 2017 ‘ASTORS’ Homeland Security Awards program. Rave Mobile Safety’s innovative tools help to prepare better, respond faster, and communicate more effectively before, during, and after emergencies. Send Emergency Notifications – From Anywhere. Send emergency alerts to all communication channels simultaneously from any computer, smartphone or tablet. Rave Alert’s 2-step SnapSend broadcasts emergency notifications to thousands in seconds. Pre-set templates and audience segmentation accelerates emergency send process. In seconds, the Rave Panic Button App clearly communicates an emergency to 9-1-1, school staff, and first responders. As a result, response times are shortened and first responder safety is improved. With the panic button app, school staff, security, and on-site personnel will be immediately notified of an incident and can initiate emergency procedures before first responders arrive. The improved collaboration between 9-1-1, on-site personnel, and first responders improves school safety and saves lives. Rave 911 Suite’s powerful tools, such as the 2-way 911 text feature, help emergency responders shorten average response times and save lives, which includes Rave Command View. The 911 supervisor view clearly visualizes emergency call traffic, Smart911 Safety Profiles, facility data, Panic Button activations, and other data on a secure, web-based map. The consolidated view displays 9-1-1 calls from regional PSAPs and empowers supervisors to join and support 911 text sessions via SMS with callers. Smart911 helps 9-1-1 call takers and first responders make faster, better decisions, shorten response times, and save lives. It gives PSAPs and first responders access to a 9-1-1 caller’s Safety Profile: family member information, photos, medical conditions, disabilities, exact addresses, even pet information, to make informed dispatch decisions. The Campus Safety App that enhances safety on campus through real-time interactive features, creating a virtual safety network of friends, family, and Campus Safety personnel. The Rave Guardian Campus Safety App feature know as the ‘Safety Timer’ is a powerful personal safety tool, that empowers people to be proactive about their safety. The Safety Timer allows friends and Campus Safety personnel to check the status of an app user in need. If the user does not deactivate the Safety Timer before the time expires, the student app automatically alerts Campus Safety. Anonymous, two-way crime tip reporting through text and images is also made available in the Rave Guardian Campus Safety App. Empower your people to be the eyes and ears of law enforcement and help keep their community safe. Rave Eyewitness improves community safety by providing individuals the technology to submit an anonymous tip to local authorities. Tipsters can discreetly communicate with law enforcement via SMS. The anonymous tip technology enhances community engagement with authorities and eliminates individual risk of retribution. An emergency preparedness registry designed to help emergency managers understand the individual needs in their community with faster communication during a crisis. Showing data on interactive maps lets emergency managers easily identify residents with medical, access or functional needs, and quickly assess potential impact allocate resources as needed. With Rave Prepare’s maps and queries, emergency managers can rapidly identify and alert any group or segment of a community. Rave Mobile Safety’s platform is built from the ground-up to serve Public Safety. In our mind, technical excellence is not just about servers and infrastructure, but how you apply technology to address your clients’ most pressing needs. Hosted, Software as a Service (SaaS) solutions place the responsibility for managing the platform in Rave’s hands, and ensure you are provided with instant access to system upgrades. Rave’s services run out of geo-diverse Tier 4 data centers, providing redundant network, power, and cooling. Rave’s infrastructure and processes use best-in-class security technologies and processes, and are subject to regular 3rd party audits. System availability doesn’t just mean it’s accessible – it means it performs the functions necessary to accomplish your missing. Rave’s infrastructure and multi-path communications technologies provide redundancy and fault-tolerance that ensures your ability to effectively serve your constituents. Rave is dedicated to making sure you can use our services wherever and however you need. We provide access to our services through any internet connected device (desktops, tablets, and phone). When it comes to 9-1-1 and Emergency Notification, nobody owns the entire end-to-end solution. Rave has partnered with the leaders of each step in the chain, gaining access to the expertise and capabilities necessary to provide you with a Public Safety Grade solution. 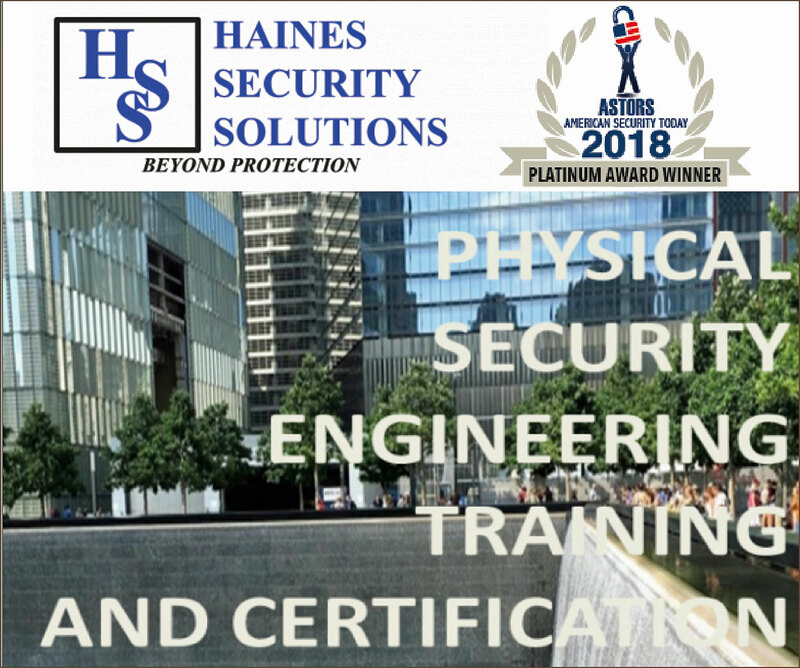 The U.S. Department of Homeland Security (DHS) has recognized Rave Alert, Smart911 (the Rave 911 Suite) and the Rave Panic Button as Qualified Anti-Terrorism Technologies through the award of both SAFETY Act Designation and SAFETY Act Certification. Through this award, key components of the Rave Platform are now on the DHS SAFETY Act’s “Approved Technologies” list. “Evaluation for the SAFETY Act Certification and Designation required rigorous analysis and evaluation, which makes us honored and proud to be designated with such an important accreditation,” said Tom Axbey, president and CEO of Rave Mobile Safety. As an ‘ASTORS’ competitor, the Rave Mobile Safety will be competing against the industries leading providers of innovative mass notification systems. Good luck to the Rave Mobile Safety on becoming a Winner of the 2017 American Security Today’s Homeland Security Awards Program!